If there was any question that El Nino had arrived on the west coast of the United States last week, just ask surfers who saw punishing waves slam local beaches. Nowhere did the waves come to shore with such ferocity as they did at the Northern California surf break known as Mavericks. The break just north of Half Moon Bay is notorious among the surfing world and a place in great esteem as the site of several high profile deaths. 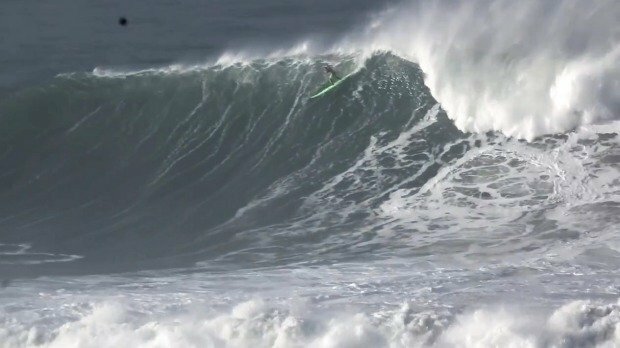 It had looked like the annual Titans of Mavericks competition — usually announced within 48 hours of a monster swell — would take place, but even organizers deemed the conditions too rough. That was a sound decision, it would turn out, as one surfer, Garrett McNamara, took a nasty wipe out that landed him in the hospital. Reports were that he dislocated his shoulder and required surgery on his arm and shoulder. Up and down the coast of California surfers braved the high surf warnings in what would be the first major storm of the winter. With meteorologists forecasting an El Nino year of increased weather conditions, surfers are expecting a season of especially big waves.